As a nonprofit leader, you are truly dedicated to making a difference. No matter what type of nonprofit you lead, what you do matters. Your job is important, but it’s not easy. Do you work long hours and wish you had more resources to do all the great things you want to do to strengthen and grow your nonprofit? One of the most important resources you have is your board of directors. Or, at least the board can be one of your most important resources. I have been involved with nonprofit organizations for over forty years. I began as a volunteer, helping people with mental illness with practical daily living. I went from volunteer to staff to executive director. At the same time, I served on boards and went to graduate school. I was a single mom as well, so let’s just say my plate was full. As an executive director, I led two mergers of my nonprofit with others and ultimately led a mental health agency with 530 staff. I truly “grew up” in nonprofits: from a $100,000 budget to leading a nonprofit with a budget of $26 million. I understand first-hand the challenges nonprofit executives face day after day. I deeply care about nonprofits and the well-being and effectiveness of people like you who lead them. 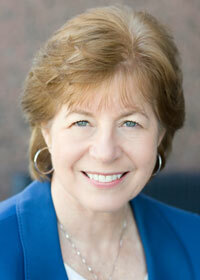 After 26 years as an executive, I have been consulting and coaching nonprofits for 16 years. I see nonprofit leaders, like you, stretching and driving themselves every day. Read more about Mary’s nonprofit experience. Effectiveness requires taking action as a result of knowledge. I have several degrees with a focus in nonprofit leadership and governance. My goal is to apply research and knowledge in very practical ways to the challenges I faced and know you face as well. My gift is drawing on an understanding of people, leadership, boards and nonprofit dynamics to tackle challenges and unleash the full potential of boards. With 16 years of experience serving on boards, I know the incredible value effective boards bring when they work in strong partnerships with their executive directors. But I know the other side too—the challenges you face when it is your board that is not as engaged, resourceful, strategic, or supportive as you need and want it to be. The bad press nonprofit boards get is mostly unjustified! With very few exceptions, the board members I interact with are caring and dedicated. Sometimes, they just aren’t clear about what they can and should be doing to bring their best effectively to the nonprofits they serve. That’s where I can help. Sometimes you, as an executive director, need a third party to be the messenger and an expert to deliver the message with authenticity and credibility—facilitating a board transformation. This is what I am dedicated to helping you create. Create a clear vision of what’s possible with a fully engaged board. Uncover the challenges that are preventing you from unleashing the full potential of your board. 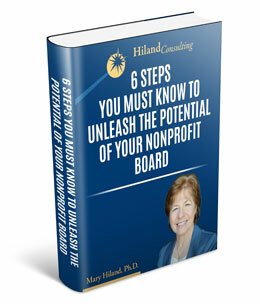 Identify the action steps that will allow you and your board to work more powerfully together.